At Mazda Canada, we’re proud to offer some of the most exciting vehicles on the road today; vehicles that provide a uniquely exhilarating driving experience. We want to provide the opportunity to enjoy worry free driving, even after the vehicle’s manufacturer’s warranty has expired. That’s why we’ve created the Mazda Added Protection plans to protect you against unexpected repair costs. 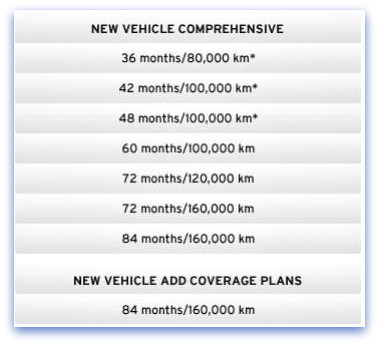 MAP works in conjunction with your specified new vehicle warranty for up to 7 years or 160,000 km. With it, you are covered for services over and above your existing warranty. Prolong your driving pleasure beyond the manufacturer’s warranty period for up to 7 years/160,000 km. Budget concerns are a factor when purchasing or leasing a vehicle. Protect against unusual repair expenses for up to 7 years, avoiding the financial burden that unexpected repairs could create. In conjunction with your Mazda Added Protection term, in the event of physical damages and under certain conditions as described in the policies of your plan, Mazda Canada Inc. will pay for the difference in the amounts to repair your vehicle with OEM parts versus aftermarket parts. Ensures that your vehicle is repaired correctly every time with Mazda’s authorized repair centers. At Mazda Canada, we’re committed to your satisfaction. We don’t just want to sell you a vehicle – we want you to be delighted with every aspect of your experience with us, from buying to driving to service, which is why we are offering you this program. Mazda offers you the service and protection you need to maximize your driving performance wherever you go in Canada or the continental U.S.